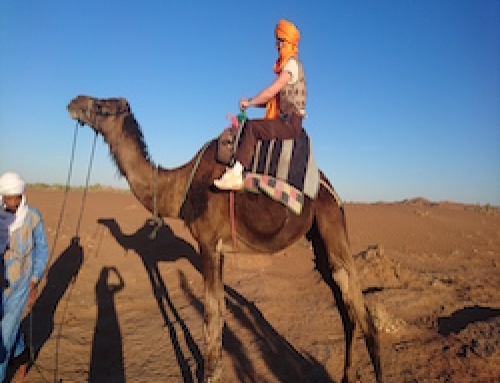 The most authentic adventure is to ride through the stillness of the Sahara Desert on horseback. Our well-trained Arab/Barb stallions are brought to the desert for an amazing journey into this wild and fascinating place. 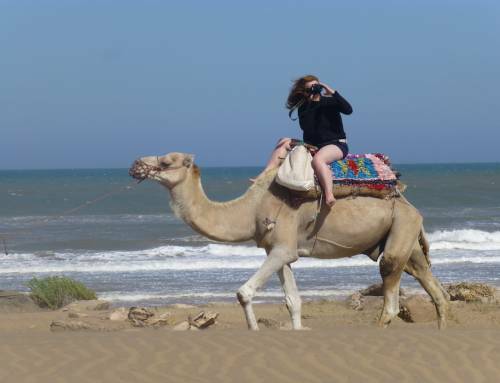 You will be escorted by our experienced local guides and horsemen for the trip of a lifetime! 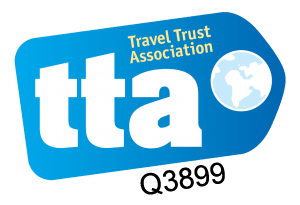 You will be picked up by our driver in an air-conditioned 4×4 for a wonderful journey through the Atlas Mountains where your driver will stop at the most stunning places en route. 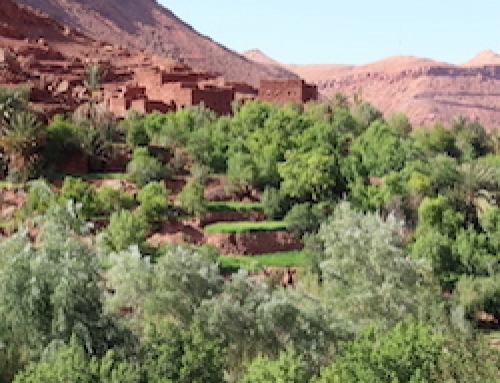 You will arrive at the UNESCO World Heritage Berber town of Ait Ben Haddou to explore the town and have lunch before continuing on to Ouarzazate. Spend the night here in a small, stylish hotel with a pool to relax after the drive. 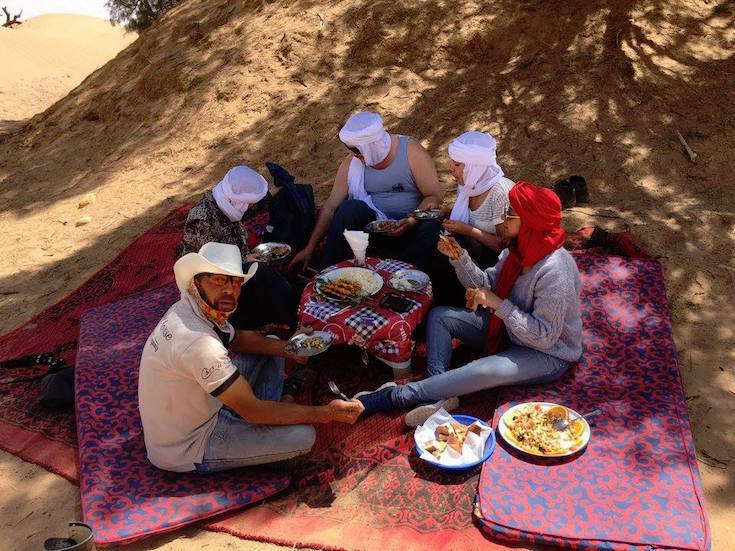 Continuing your journey into the Sahara Desert, you will stop en route for lunch and arrive at M’hamid El Ghislane to stay in a hotel on the edge of the desert to rest before your Horse Trek begins the next day. Meet your Horse Trekking guide and Arab Barb Stallions to get acquainted and spend some time preparing for the 3-day journey ahead. Spend 2 nights camping under the stars after a day of trekking at your pace. 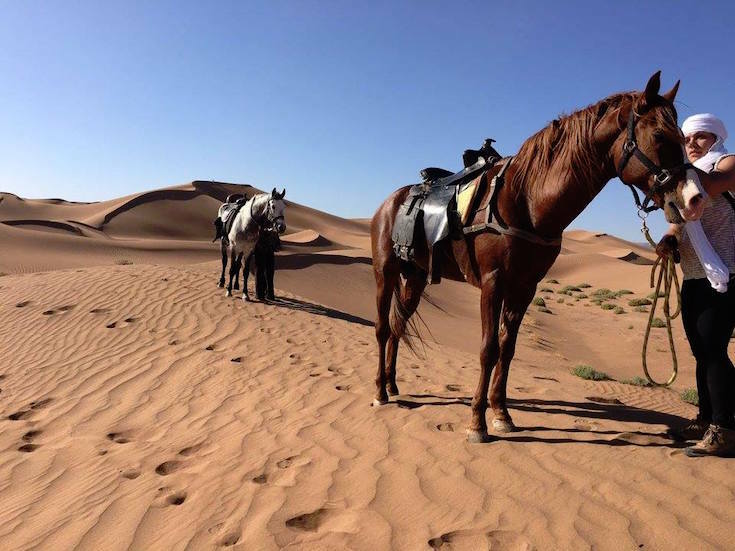 All the horses are well trained and come from the Yard which provides horses for the Atlas Film Studios in Ouarzazate, home to Hollywood Greats such as ‘Gladiator’ and ‘Lawrence of Arabia’. 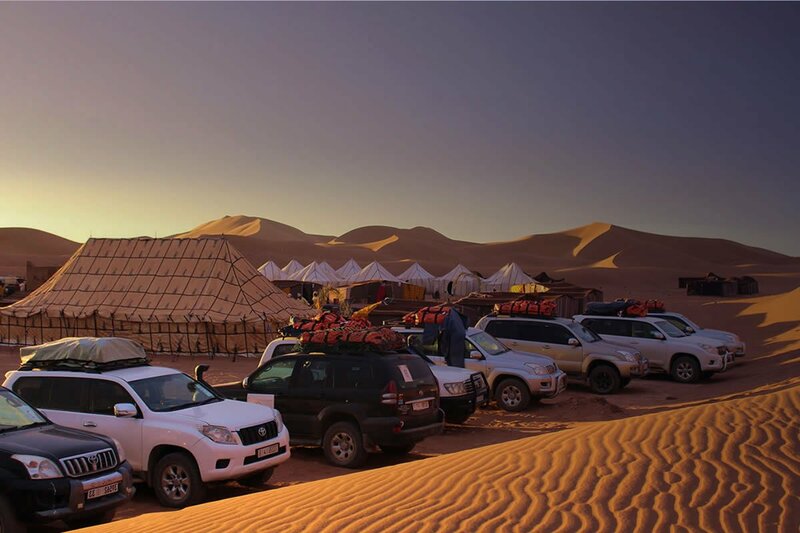 Spend your days out in the beautiful and serene dunes of the most impressive area of the Sahara Desert being guided through different scenery from the dry river bed of the Draa Valley to the high dunes of Zahar. Stop each day for lunch under the shade of a Tamarisk tree and ride into the sunset to set up camp. You will be met each night by our team who will prepare delicious Moroccan food and a camp fire for your night under a sky full of stars. 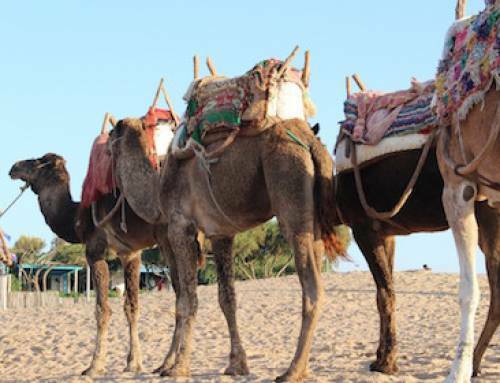 On the final day, you will trek to a desert Nomad camp. 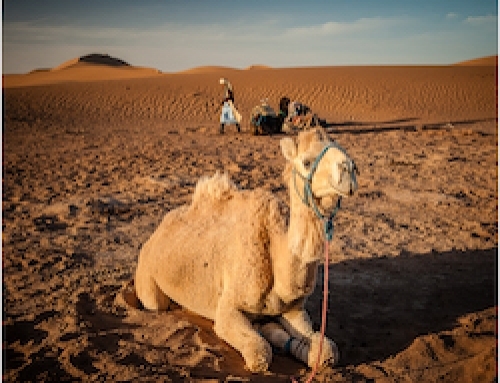 Receive a warm Berber welcome and stay in a large nomad tent with double bed and rugs underfoot for a relaxing evening on your last night in the desert. After breakfast, your 4×4 driver will pick you up to return directly to Marrakech via a different scenic route out of the desert and back through the Atlas Mountains to Marrakech.